This review is about item#10778214. There is no dissatisfaction. I think it's standard. We moved to the Monotaro brand. This review is about item#10778241. I was satisfied with both price and quality. 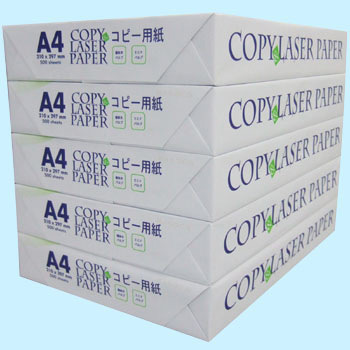 Just the same kind of paper is almost the same, so you can only say if you buy it the next time if you buy it again. It was able to use it smoothly. It was cheap, but it is comparable to those of other companies. This review is about item#10778232. It is thick and firm paper. For FAX, I want a little thin and soft paper. Although it is a consumable item, I purchase it with concern about paper thickness / whiteness. Quality is not bad as this type is used even before. This review is about item#10778223. I think that the color tone is white and that you can print cleanly. Very easy to use, the price is satisfactory. It was cheap and saved. I used to patronize it before, but I think that it would be better to win a brand brand at a price and win a little cheaper. I continue using it. I think that it is sufficient quality. Copy paper sometimes gets clogged.